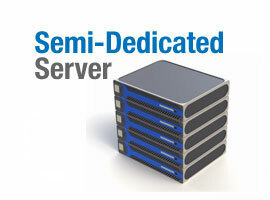 SGHost Semi Dedicated Server Package is the preferred choice for Growing and Expanding Businesses. We guarantee all servers will host a maximum of 6 - 10 accounts, depending on server specifications and load. Our Semi Dedicated servers offer High Reliability, High Availability and Full Redundancy to ensure customer receive maximum uptime for their website and emails. All Semi-Dedicated Hosting Plans are powered by highly reliable HP Proliant Server Class Hardware and hosted in Singtel Expan Datacenter. Sign up for your Semi-Dedicated hosting account with us now and see why so many of our customers say that We are the Best Web Hosting Service Provider in Singapore.